The believer feels no shame, as though he were still living too much in the flesh, when he yearns for the physical presence of other Christians. Man was created a body, the Son of God appeared on earth in the body, he was raised in the body, in the sacrament the believer receives the Lord Christ in the body, and the resurrection of the dead will bring about the perfected fellowship of God’s spiritual-physical creatures. The believer therefore lauds the Creator, the Redeemer, God, Father, Son and Holy Spirit, for the bodily presence of a brother. So the Christian, too, belongs not in the seclusion of a cloistered life but in the thick of foes. There is his commission, his work. Not all Christians receive this blessing. The imprisoned, the sick, the scattered lonely, the proclaimers of the Gospel in heathen lands stand alone. They know that visible fellowship is a blessing. On being a Christian in the 21st century . 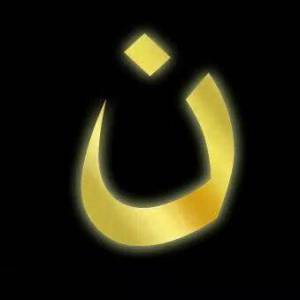 . .
With the last Christian being driven out of Mosul, Afghanistan, by the vengeful ISISsect this week, and innumerable other incidents of discrimination against Christians in Africa, Asia and even the Americas plaguing the planet, one wonders if being a Christian is worthwhile? Wouldn’t it be better to be nothing than to be tracked down and slaughtered as has happened to Christians recently in Egypt, Nigeria, Sudan, India and Pakistan? The answer is a decided, NO! While respect for Christianity has diminished in large measure due to pedofile clergy, immoral televangelists and other scoundrels occupying some prominent pulpits, the Gospel is still needed for this century and all the others following it. It has declined because families find other pleasures more attractive than teaching their children Christian values. TVand movie comedians may mock us, atheists may seek to dull our witness by banning crosses and creches, and novelists may fling every indescribable insult in our direction they wish, but Christianity is God’s empowered force for good — therefore cannot be so casually dismissed as inconsequential. The Jews have suffered for their faith for centuries, yet their strength remains in those who remained faithful to it despite pogroms and the Holocaust … often at the hands of Christians regrettably. Where would institutions of mercy … hospitals, children’s homes, homes for the aging and many similar caring facilities have originated … if it had not been for the Church centuries ago? Schools, from kindergartens to universities, were made available to the poor as well as the rich under the sponsorship of the Church. Many agencies that provide assistance to the disadvantaged got their start led by Christian men and women who originated such ministries. And the Jews, too, have provided similar care for their people and others, while often cooperating with Christians and financially supporting their institutions to alleviate human suffering. Many of America’s refugees came to these shores due to the ministry of Christians and Jews. After World War II, the United States gained an exceptional benefit from those fleeing what was left in battle-worn Europe. After Vietnam’s war, the same thing happened. So, yes, it is still a worthy goal to be a follower of Jesus no matter what naysayers tell us. But then being a modern day disciple of the Lord Christ is not simply for assisting others in their dilemmas. That’s a prime target in the attempt to love others. There is, however, a very important personal element that comes first. There needs to be a living relationship with God, a common walk with Him in order to love one another and to sense the love that is returned. Besides, our earthly life is not the end of the journey. It is merely the prelude. Eternity is worthy of our devotion and faith now. It’s not “pie in the sky bye and bye,” but a promise made by Him to those who believe. Here and now we take the first steps to accepting the life without end. On Aug. 4, some people will observe the 102nd birthday of Raoul Wallenberg, a Swede renowned for his rescue of up to 120,000 Hungarian Jews from the Final Solution being promulgated by Adolf Eichmann. Raoul was a Christian. He went to Budapest in the last months of World War II to rescue as many Jews remaining in the last corner of European Judaism. He served the Swedish king as a special ambassador, and was financed generously by President Franklin D. Roosevelt … two Christian leaders who cared enough to send the very best to facilitate the rescue. Wallenberg died at the hands of the Russians in one of Moscow’s notorious prisons, but before that he fooled the Nazis by inventing, printing and distributing false passports identifying the Jewish recipients as being under the protection of King Gustav V of neutral Sweden. His girlfriend: while Raoul studied architecture at the University of Michigan, Berniece Ringman, was a friend of mine, who toured Scandinavia and Russia with me during one of my Christian heritage tours. While in Stockholm, she met with Raoul’s sister. In Moscow, she visited with the American ambassador about getting Raoul released from the Gulag where he was thought to be imprisoned. It was not known until later that he had died in Moscow near the war’s end. At any rate, Wallenberg put his life on the line for people he didn’t know. He knew, however, they were children created by God. His obligation was to God, as well as to his king, to save as many as he could. He provided safe houses for them who lived under his patronage, even a hospital, and collected very scarce provisions to feed them in a very difficult time. Why? Because he believed it was not just his duty, but his privilege. He was an ambassador for Christ. He did not preach. It was not his intention to convert, but it was his prerogative to serve his Lord by saving lives. There were many Christians who lived out their faith in the face of Nazism’s threats. Theologian Dietrich Bonhoeffer and his brother-in-law, Hans von Dohnanyi, a businessman, were among them. They stood up against the Nazis for their inhumanity toward Jews and others, and lost their lives by order of Hitler just a week or two before the war’s end. A new book, “No Ordinary Men,” was recently published by the New York Review of Books to underscore their mission. Was Dietrich Bonhoeffer Part of the Conspiracy? A standard reading of Bonhoeffer, one I have believed most of my academic life, is that Bonhoeffer shifted from a kind of traditional socially conservative, fairly nationalistic approach to church-state relations to a pacifist-Sermon-on-the-Mount stance but that, once he returned to Hitler’s Germany after a brief spell at Union Theological Seminary, he shifted to a kind of (Niebuhrian) realism and abandoned his former pacifist stance. But a new book is out, by Mark Thiessen Nation, Anthony G. Siegrist, and Daniel P. Umbel, called Bonhoeffer the Assassin? Challenging the Myth, Recovering His Call to Peacemaking (BakerAcademic, 2013), and this book challenges front to center this standard reading of Bonhoeffer. There’s already a bit of a dustup about the proposals in that Roger Olson thinks Nation et al have overcooked their theory, and already Mark Nation has responded back (on Roger Olson’s blog’s comments). I want to summarize their theories in brief compass and not drag this post on and on. 1. 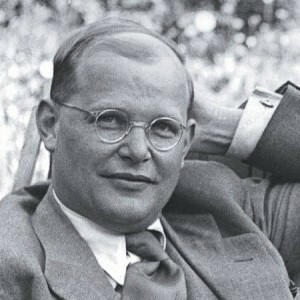 There is no evidence from Bonhoeffer himself — in writing — that he was involved in any conspiracy to kill Hitler. Yes, his brother in law and friends were conspirators, but there’s nothing from Bonhoeffer’s own hand that proves it. 2. 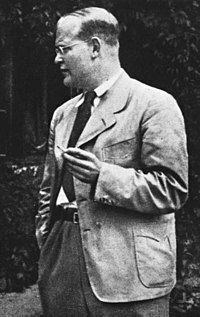 Yes, Bonhoeffer was involved in the Third Reich’s Abwehr, their military intelligence agency, and this could have had as its purpose participation in the conspiracy against Hitler, since a fraction there were conspirators, but the evidence we have suggests Bonhoeffer’s involvement in the Abwehr was prompted in order to prevent him from having to serve in the military on the front lines and in the killing in the name of Hitler. The evidence further suggests he used his Abwehr work to further his ecumenical work and to pass on insider information about the atrocities of Hitler to outsiders and foreigners. 3. The evidence that Bonhoeffer was involved in the conspiracy comes exclusively from his biographer, Eberhard Bethge (Dietrich Bonhoeffer: A Biography), by far the best biography and done by one who personally worked with and knew well Bonhoeffer himself. Bethge says Bonhoeffer was a conspirator and that his conspiracy work involved him in “boundary work” — that is in doing things that were on the border of his ethical beliefs. The evidence, then, is based on Bethge’s memory. Roger Olson presses this point hard to argue that he trusts Bethge. 4. But Nation et al are arguing their case on a profoundly informed basis: they have mapped carefully the development of Bonhoeffer’s theological ethics from his early period (Barcelona in the late 1920s), the most influential Discipleship book in the late 30s when he was leading the underground seminary, and then in the later Ethics where we encounter his “worldliness.” What this book does in the middle chapters, chapters harder to read than the others, is to demonstrate that there is a decisive break between Barcelona and Discipleship, one in which Bonhoeffer shifts from anti-pacifism to pacifism on the basis of the Sermon on the Mount and Jesus’ teachings. What the book also demonstrates is that there is no such break or significant shift between Discipleship and Ethics, but that once one understands the role both Sanctorum Communio and Act and Being (his dissertation and habilitation) plays in his development, one sees much more continuity — a Jesus based and christologically shaped ethic — than discontinuity. To argue that Bonhoeffer changed his mind requires that he significantly changed his mind and abandoned his Discipleship themes. Bonhoeffer himself denies this and affirms that he stands by his Discipleship. Without that evidence of shift between Discipleship and Ethics, the argument about Bonhoeffer shifting just doesn’t gain traction. Put differently, the issue can’t be reduced to Bethge’s words but the pro-conspiracy folks must also show that there is evidence for a clear diminishment of the ethical theories at work Discipleship in the later Ethics. So, to argue Bethge got it right one must prove that Bonhoeffer changed his mind on how to do Christian ethics. Bonhoeffer himself says he stood by Discipleship late in his life. The Story: Palestinian leaders have called for a “day of rage” in the West Bank today after a Gaza school being used as a United Nations shelter was hit. The Palestinian government claims the Israeli strike killed 16 people and injured more than 200. This marks the 18th consecutive day of back-and-forth violence between Israelis and Hamas militants in the Middle East, a seemingly intractable wave of conflict that has already claimed more than 800 (mostly civilian) lives. Meanwhile, thousands of evangelical Christians flocked to Washington, D.C., for a Christians United for Israel (CUFI) summit earlier this week. “When you turn against Israel you have lost your moral compass,” founder John Hagee told the gathered crowd. Israeli prime minister Benjamin Netanyahu (in a recorded video message) and Israeli ambassador to the United States Ron Dermer also addressed the summit. With nearly 1.75 million members, CUFI claims to be the largest pro-Israel organization in the United States. Such events in the Middle East and in America raise typical and vital questions. Does Israel possess a “divine right” to the Promised Land? What is the “Promised Land,” anyway? The interminable Israeli–Palestinian conflict has always been freighted with biblical significance; Israel, after all, didn’t dub a former anti-Hamas campaign “Operation Pillar of Cloud” for nothing. 1. God chose Israel from all the peoples of the world to be his own possession. 2. The Land was part of the inheritance he promised to Abraham and his descendants forever. 3. The promises made to Abraham, including the promise of the Land, will be inherited as an everlasting gift only by true, spiritual Israel, not disobedient, unbelieving Israel. 4. Jesus Christ has come into the world as the Jewish Messiah, and his own people rejected him and broke covenant with their God. 5. Therefore, the secular state of Israel today may not claim a present divine right to the Land, but they and we should seek a peaceful settlement not based on present divine rights, but on international principles of justice, mercy, and practical feasibility. 6. By faith in Jesus Christ, the Jewish Messiah, Gentiles become heirs of the promise of Abraham, including the promise of the Land. 7. Finally, this inheritance of Christ’s people will happen at the Second Coming of Christ to establish his kingdom, not before; and till then, we Christians must not take up arms to claim our inheritance; but rather lay down our lives to share our inheritance with as many as we can. Why It Matters: Regardless of where you land theologically or politically, the events of the past two weeks mark yet another distressing development in the Israeli–Palestinian saga. This is a prime opportunity to pray. Pray for the Israelis, image-bearers of God, that they’d search the Scriptures and find life in the Savior (John 5:39–40, 46). May they discover that the meeting point between God and man is no longer a place—whether reconstructed temple or geographical acreage—but a risen and reigning and soon returning Person (John 4:21–26). Pray too for the Palestinians, image-bearers of God, that they’d turn in droves to Jesus the King. An ultimatum reportedly issued by rebels aligned with the Islamic State of Iraq and Syria, or ISIS, has sparked a mass exodus of Iraqi Christians from the rebel-controlled city of Mosul, where they were advised to convert to Islam, pay a religious levy or prepare for death, BBC News said. An al Qaeda offshoot, ISIS captured large pieces of northern Iraq in June, declared the area to be an Islamic Caliphate and renamed itself the Islamic State. The Sunni extremist group made the threat Thursday night over mosque loudspeakers and from cars driving through the streets of Mosul, the capital of the Nineveh province, about 250 miles northwest of Baghdad, according to the Wall Street Journal. The ultimatum came just about six weeks after the group seized control of the city. “We offer them [Christians] three choices. Islam, the dhimma contract — involving payment of jizya — if they refuse this, they will have nothing but the sword,” the announcement reportedly said, with a deadline set for Saturday afternoon. The concept of dhimma, established in the 7th century, deals with governing non-Muslims living under an Islamic rule and requires them to pay a jizya, or protection money. This practice was abolished during Ottoman Empire reforms of the 19th century. Patriarch Louis Sako, a senior cleric in Iraq, told Agence France-Presse that Christian families were fleeing to Dohuk and Arbil in the neighboring autonomous region of Kurdistan. “For the first time in the history of Iraq, Mosul is now empty of Christians,” he said. Jungle Theater’s influential founder and artistic director for 25 years is retiring in 2015. Bain Boehlke, a fixture in the Twin Cities theater scene for more than 50 years, will retire as artistic director of the Jungle Theater in Minneapolis next June. Although he is stepping down, Boehlke will remain active in the Jungle by directing one or two shows a year as emeritus artistic director. Saying “all things are possible for the young at heart,” Bain Boehlke, 75, announced Monday that he will retire next year from the Jungle Theater. Boehlke founded and has led the Minneapolis theater for 25 years. Including his years at Children’s Theatre Company, he’s been a fixture in the Twin Cities theater scene for more than half a century. Although he will retire as artistic director next June, he is not heading for his rocking chair. “It feels perfect, like I’m riding a surfboard onto the beach and now I’m going out to catch the next wave,” said Boehlke, whom many still remember for his decades-ago role as the stepmother in “Cinderella” at Children’s Theatre. He hinted at several possible futures and did not shut out the possibility of starting yet another theater company. Boehlke will become emeritus artistic director at the Jungle and direct one or two shows a year. His departure from the day-to-day operation of the Jungle (managing director Margo Gisselman will stay on) marks an important milestone. Boehlke founded the theater in a south Minneapolis storefront in 1991. In 2000, the Jungle constructed a 150-seat jewel box theater at the same intersection of Lake Street and Lyndale Avenue S. The theater found success, financially and critically. It also triggered a neighborhood renaissance. “The Jungle’s contributions have long supported healthy community development along Lake Street,” said McKnight Foundation President Kate Wofford when the organization honored Boehlke as its distinguished artist in 2009. The Jungle is frequently mentioned in national assessments of the Twin Cities scene, and the company has received many Ivey Awards for excellence. Boehlke received the Ivey Lifetime Achievement Award in 2011, recognizing a career that reaches back to 1960. Boehlke, Wendy Lehr, John Clark Donahue and other artists launched Children’s Theatre Company to national prominence in the 1960s and ’70s. Boehlke, eccentric and voluble, is a true theatrical auteur — creating his own set designs and implementing comprehensive visions for his productions. His modern-day “Hamlet” used video technology and iPads. “Shirley Valentine” featured a set reminiscent of cartoon drawings. In “Speed-the-Plow” and “Who’s Afraid of Virginia Woolf?” Boehlke drew full, rich performances from actors — even if his rehearsals could be frustrating. As an actor at the Jungle, Boehlke has played the lead in “The House of Blue Leaves” at least twice, and he and Lehr acted in “The Gin Game” in 2008. “I’m on top of my game, and I feel really good leaving when the theater is so successful,” Boehlke said. “We always talk about the whole notion of succession, and we felt the 25-year mark was a good time to move on.